The magnets here on the left hull piece and the middle of the floor. These two magnets are all we need to hold both front bits in place. You’ll note the swatches of plasticard – that’s used as a spacer to get the magnets in the right position. Once I find the right place, I use standard superglue to hold the magnet in place. And then once everything fits together, I go back over each magnet with a small amount of Gorilla Glue. Gorilla Glue is like an expanding foam that hardens, and it gets into cracks and crevices and creates an amazing hold. So, once I know the magnets work, I use Gorilla Glue to make sure those magnets will never move again. Stormfang front piece (with the tip of the Helfrost Destructor in place). 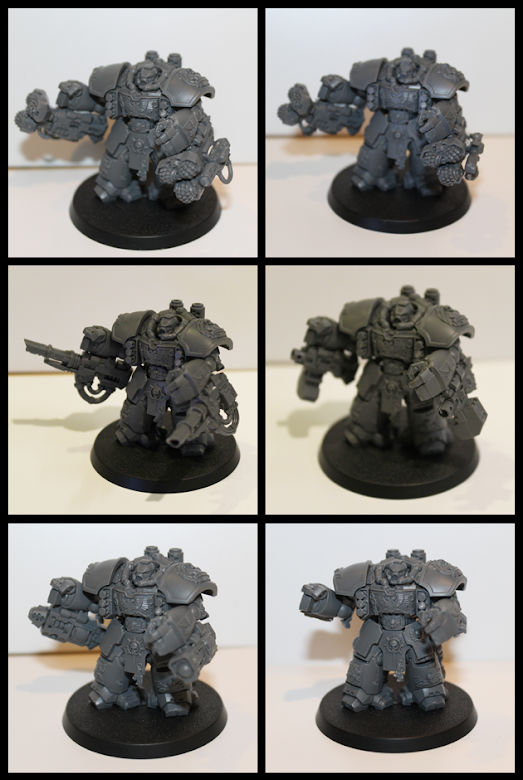 That’s all of the Stormfangwolf for now – someday, I’ll paint it and post about that!